On behalf of admin of JML Law, A Professional Law Corporation posted in Pedestrian Accident on Thursday, Aug 16 2018. In a populous state with public transportation limitations, pedestrian accidents in California are not uncommon. But who pays for injuries sustained by pedestrians in these accidents? The answer depends mostly on comparative fault and insurance coverage. The fault is the first consideration when looking at recovery options in pedestrian accident injuries. If a pedestrian is hit by a car while walking in a crosswalk and adhering to the traffic signal, there may be little chance that the pedestrian will be apportioned any fault, but not all pedestrian accidents are as cut and dry when it comes to fault. 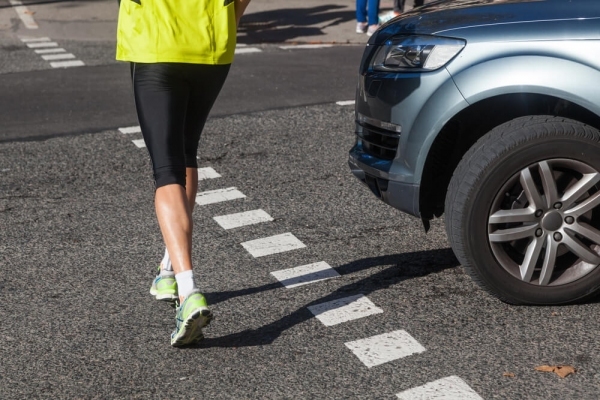 Contrary to what you may have heard, the pedestrian does not always have the right of way and sometimes pedestrians share some portion of fault in the accident. California is a comparative fault state and an injured party’s recovery will be reduced by the percentage of personal fault. This is good news for pedestrians who were hit by a car while doing something they should not have been doing such as jaywalking or crossing the street against traffic signals. Say you were crossing the street in violation of a traffic signal and you were struck by a car as it ran a red light. You may have failed to adhere to the traffic signal, but you are not out of luck. The other driver ran a red light and fault will be determined accordingly. So where do you look in your quest to be compensated for your injuries? For starters, look to the driver’s insurance company. The driver’s auto insurance should pay for your injuries in accordance with its driver’s portion of fault. A word of caution, insurance companies are going to try to pay as little as possible to settle your claim. It is always a good idea to speak with a personal injury attorney before accepting any insurance company’s offer. Insurance companies may attempt to assign an unfair proportion of fault to you or offer you an amount that does not fully compensate you for all of your past, present, and future damages and injuries. If the driver is uninsured or his/her policy limits are not enough to cover the extent of your injuries, you can look to him/her to personally to make up the difference. It can be difficult or impossible to collect money from a person, especially if he/she does not have the money to cover your injuries. You may then look to your own auto insurance policy. If you have uninsured/underinsured motorist coverage, your insurance carrier may cover your injuries up to your policy limits. If you have medical insurance and disability insurance, this may help compensate you as well. When you are looking at being fully compensated, that doesn’t mean recovering money just for your medical bills. You also need to consider things like lost wages, pain and suffering, and any future earning limits. Contact our Los Angeles pedestrian accident attorney, who will take on the insurance companies and advocate for you until you are fully and fairly compensated.